The 2014 SsangYong Korando has finally received the go ahead for Australia, coming with the base price of 27,990 AUD, for the entry-level model. For that price, the updated Korando gets a lot of tweaks, at the exterior, inside or under the hood. We might be talking thus about some sharp headlights, a revised front grille, new LED taillights and much more. Inside, the 2014 SsangYong Korando received some new fresh features, like a revised instrument cluster, dashboard and fresh new air vents and center stack. The base entry-level can also be yours with heated front seats, leather upholstery for the Korando SX version, while the second version, the Korando S, will get the 17-inch alloy wheels. 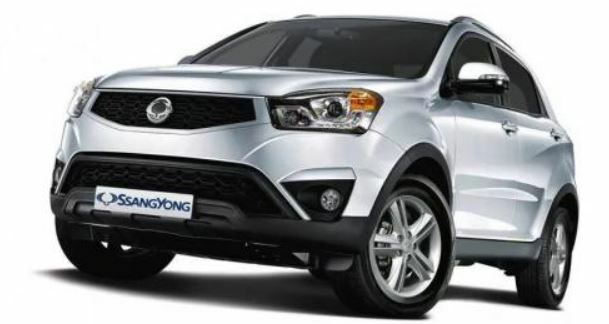 Under the hood, the 2014 SsangYong Korando comes with a 2.0-liter four-cylinder petrol unit, developing 110 kW and 197 Nm of torque, with a fuel consumption of 8.0L / 100 km. The other unit powering the 2014 SsangYong Korando, the four-cylinder diesel burner, develops 129 kW and 360 Nm of torque, with a fuel consumption of no less than 7.5L / 100 km.